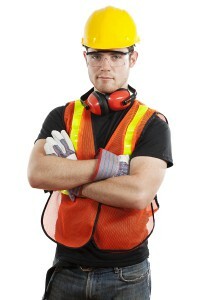 Does a 30 hr OSHA Course give you an advantage in your job search? Would a 30 Hour OSHA Course Be an Advantage in a Job Search? The 30 hr OSHA training course is intended for supervisors or workers with some safety responsibility in their jobs. 30 hr OSHA courses cover a variety of topics in some depth on workplace hazards in each industry. OSHA 30 hr training courses are key elements in protecting workers on the job site and are starting to be required increasingly in the construction industry particularly. Many private companies, unions, and government projects are now requiring workers to obtain OSHA outreach training. Some states have enacted laws requiring the training. Connecticut, Massachusetts, Missouri, New Hampshire, New York, and Rhode Island now require by law that the 10 hr OSHA safety training course be taken as the minimum training for public worksites. Nevada requires the minimum 10 hr training for construction workers and the 30 hr training for supervisors and superintendents. In addition, Nevada law requires refresher courses be taken periodically. In searching for a new job, being able to provide documentation of completion of a 30 hr OSHA course can be a great advantage. An applicant who is knowledgeable in occupation safety and health hazards and prevention, and has the training and experience already would make a more desirable employee than one who does not have this education and experience. The job applicant can emphasize how they would be an asset to a company by being able to facilitate a safe workplace which will also be a more productive workplace, because there would be fewer injuries and illnesses among workers. In a competitive job market, this added training would give an applicant an edge towards getting the job. Proof of completion of the construction 30 hr OSHA training course is especially valuable. In 2010, the construction industry had the highest number of occupational fatalities by industry sector. Though completion of a 30 hr OSHA course is not always a requirement to get a job, it can certainly give job applicants the competitive edge in today’s job market. A supervisor or other worker with this training is a valuable asset not only to his employer but to those who work with him, whose safety and health may depend on his knowledge and expertise. 30 Hr OSHA Training Courses. Enroll Now!